Water spotting on windows is one of the most common problems homeowners have to deal with. These spots are notoriously hard to remove on glass surfaces, as well as on bathroom fixtures. In this blog, window replacement contractor Renewal by Andersen® of Portland discusses how to address water spots on windows. How Do Water Spots Form? Water spots are formed when water with high mineral content, also known as “hard water,” dries on surfaces such as glass or chrome. These mineral deposits are mostly composed of calcium and magnesium, the same minerals that form white deposits called limescale in kettles and water heater tanks. Water spots are formed when hard water is used to clean the windows and the surface is not wiped dry after. Stray drops of hard water may also get on the windows when cleaning your siding or when watering nearby plants. If found in the early stages, water spots are easy to remove, but the task becomes more difficult once the spots are exposed to sunlight. A mixture of white vinegar and water can remove water spots with varying degrees of success, but this requires significant time and effort. At Renewal by Andersen, we know that water spots are hard to avoid even when you’re keeping a close eye on your windows and patio doors. We also know that your time is valuable, and you have better things to do with it than constantly cleaning spots on your windows. This is why we took the preventive approach. The High-Performance Low-E4 glass that we use for window replacement features an exterior metal oxide coating that, when activated by sunlight, reduces water spotting by up to 99%. This is as low-maintenance as window glass can get. These low-maintenance glass packages are complemented by our Fibrex® material frames, which are on par with vinyl window frames when it comes to maintenance requirements. To keep your Fibrex window frame clean, all you need is a garden hose. The durable exterior colors and finishes are warranted not to flake, rust, blister, peel, crack, pit, corrode or rot under normal use. 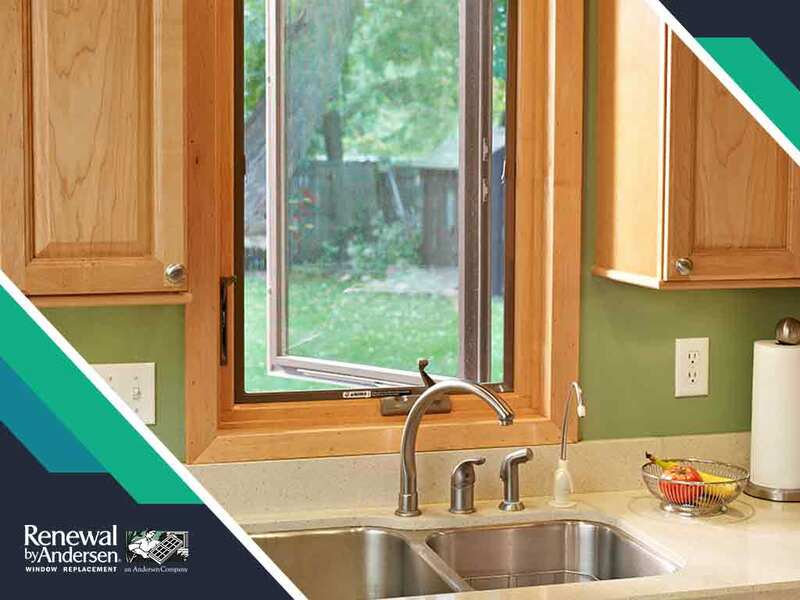 Renewal by Andersen of Portland is your leading provider of low-maintenance custom window replacement options. Give us a call at (503) 419-3960 or fill out our contact form. We serve clients in Vancouver, WA, and Portland, OR.